As Americans celebrate the national cookie day this is my tribute to you people! You surely know how to make your calendar a lot more interesting. 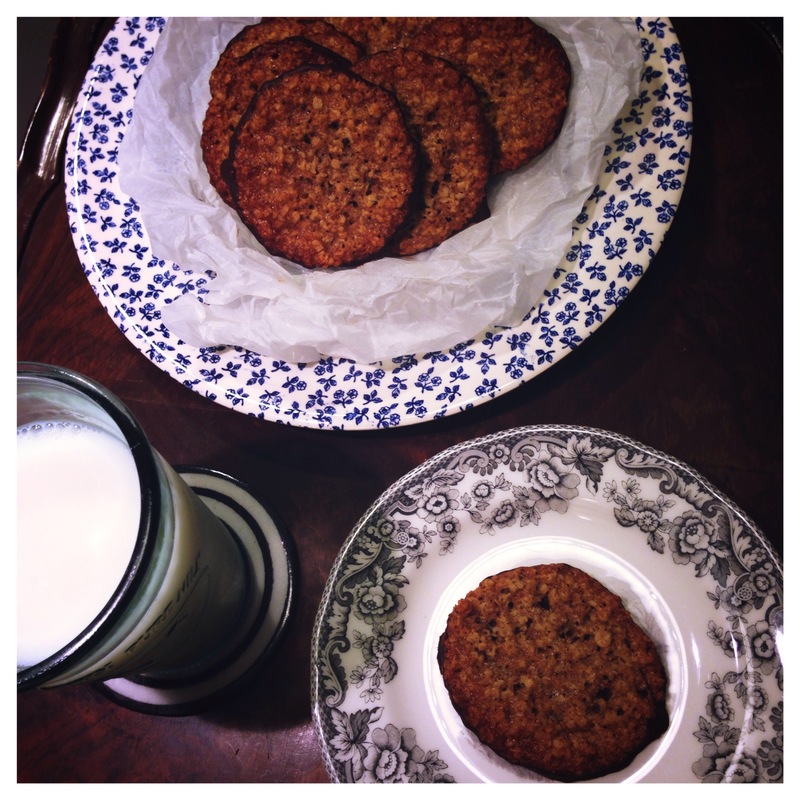 As national days go the cookie day is my second favourite. Nothing beats the national pickle day on November the 14th. With the Polish blood pumping through my veins I can’t say no to a good gherkin. 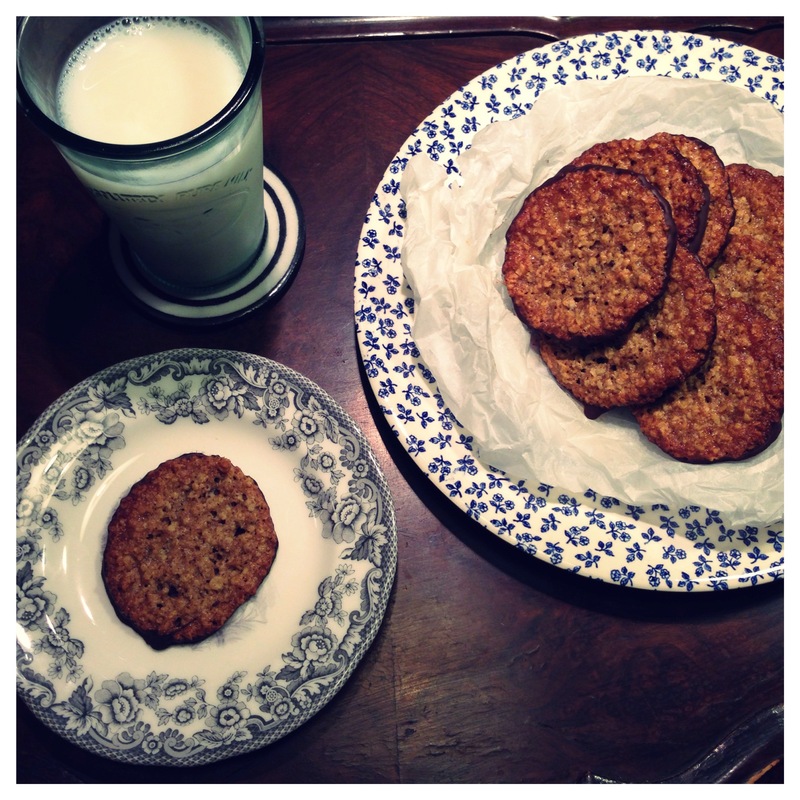 But let’s not beat around the bush here and get sidetracked from the main hero of this post… The Cookies! 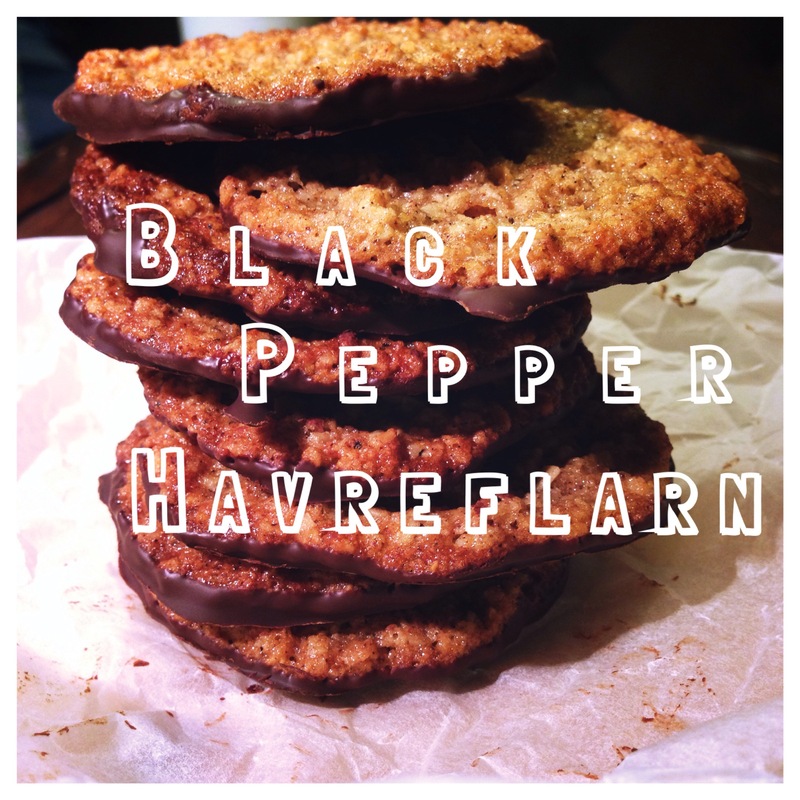 I’m bringing you Havreflarn. 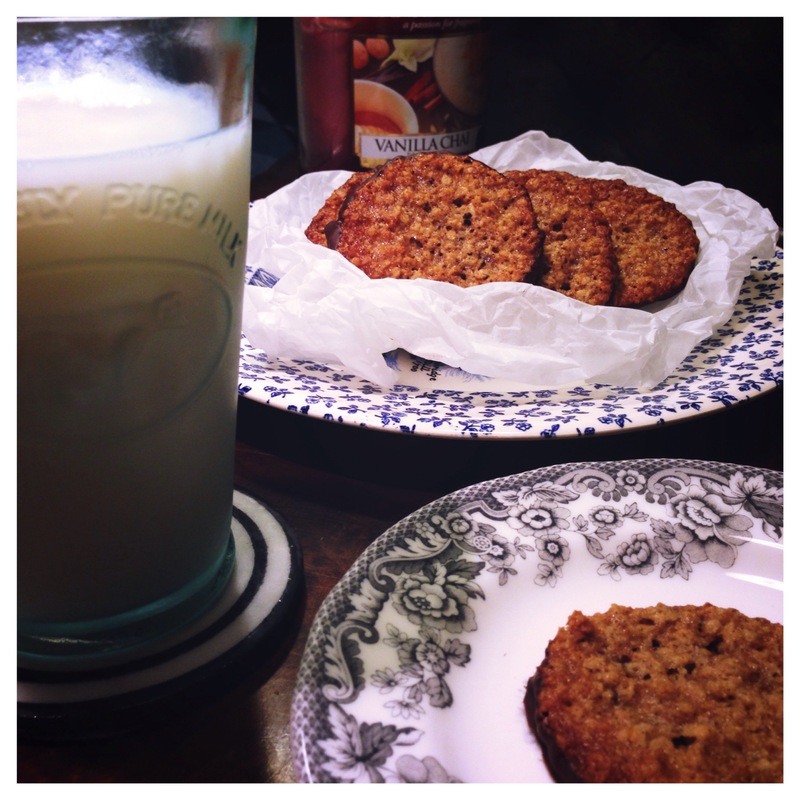 Delicious crunchy, oatmeal cookies all the way from Sweden that will blow your tastebuds with their texture. If you haven’t tried them in ikea yet, this recipe is definitely for you. If you have tried them it’s also for you because now you can make them at home. My version of this recipe has a twist. Standard recipe includes cinnamon but in my version we are also adding black pepper. The flavours work perfectly. I know some of you could be a bit reluctant to pepper in cookies but it’s not there to make you sneeze or overpower the taste. It adds this subtle spicy taste to the sweetness of the cookies. What’s more it brings out the flavour of chocolate coating 10 times more. The spicy-cinnamony flavour tastes great with crispy texture covered by rich chocolate. I hope you will enjoy them as much as I did!! 1.Preheat oven to 200C and line baking tray with greaseproof paper. Melt the butter in a smallish saucepan and once melted set aside to cool. 2. Add the rolled oats, ground almonds, flour, baking powder, vanilla paste, cinnamon, salt and pepper and mix until well combined. 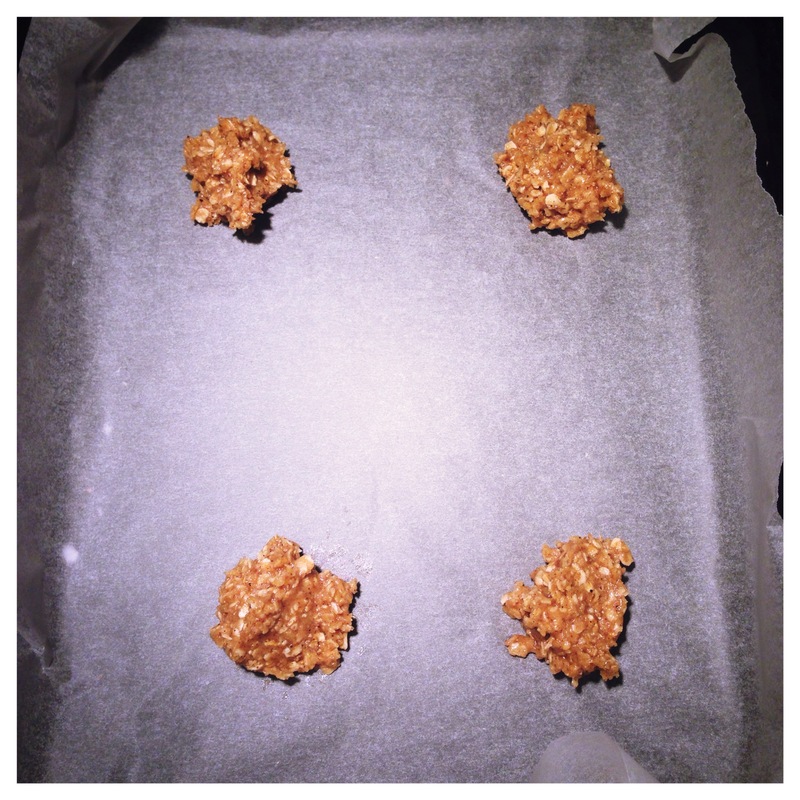 Whisk together sugar and egg and stir into the oat mix and add golden syrup at the end. 3. 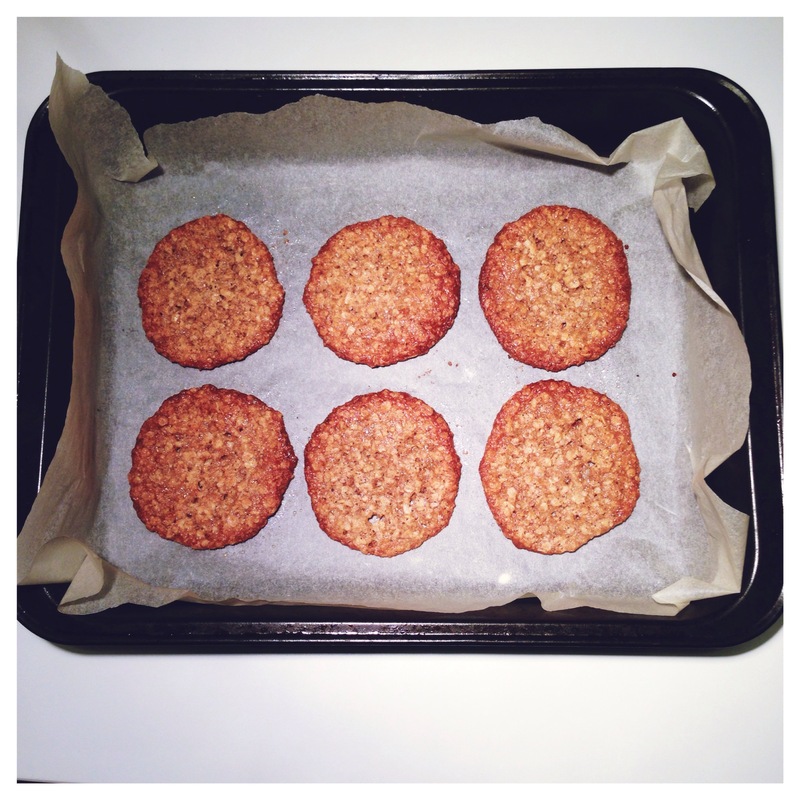 Spoon small balls onto the baking tray leaving gaps big enough for cookies to spread without touching. 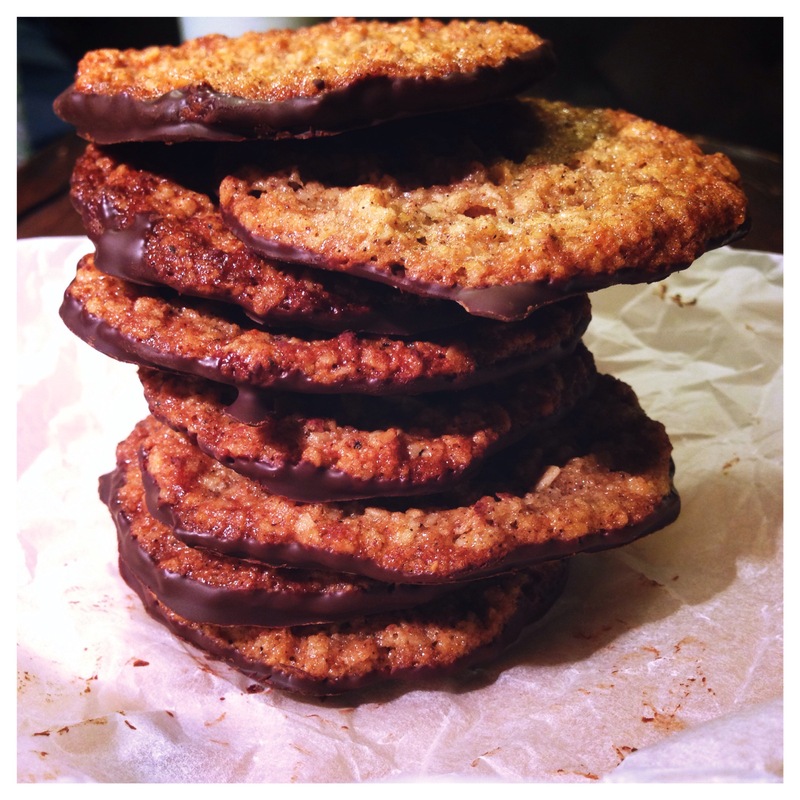 Tip here: if you have a melon baller use it measure the dough to make the same size cookies. Bake for 7 minutes until golden. Allow to cool on the tray for a while and then cool on a rack. 4. Melt the oil and chocolate in a double boiler then dip one side of the cookies and put them back on the greaseproof paper for the chocolate to set.